NBAA offers its Members exclusive exhibiting opportunities at events worldwide. From the NBAA Business Aviation Convention & Exhibition, the world’s largest civil aviation trade show, to the NBAA Schedulers & Dispatchers Conference, Regional Business Aviation Forums, and more, NBAA’s events are the premier marketplace for business aviation products and services. View the schedule of upcoming exhibiting opportunities. Whether you plan to stay up-to-date on the latest operational information critical to your job function or discover a new vendor or supplier in the growing exhibit hall, you’ll want to make plans to attend SDC2019. NBAA's West Palm Beach Regional Forum will bring current and prospective business aircraft owners, operators, manufacturers, customers and other industry personnel together for a one-day event on Feb. 6, 2019 at Palm Beach International Airport (PBI). NBAA's Houston Regional Forum will bring current and prospective business aircraft owners, operators, manufacturers, customers and other industry personnel together for a one-day event on March 14, 2019, at William P. Hobby Airport (HOU). NBAA's White Plains Regional Forum will bring current and prospective business aircraft owners, operators, manufacturers, customers and other industry personnel together for a one-day event on June 6, 2019 at Westchester County Airport (HPN). 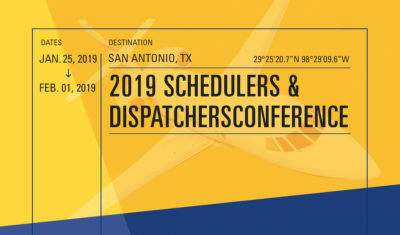 Printed show guides are published at the NBAA Convention, EBACE, ABACE and Schedulers & Dispatchers Conference, providing outstanding visibility for companies at those shows, and NBAA mobile applications offer an exciting new advertising opportunity at select events. NBAA offers many outstanding advertising and sponsorship opportunities for Member Companies and others in the business aviation community to promote their products and services. Download the NBAA media kit and rate cards. NBAA provides a variety of professional development, information-sharing and networking opportunities for the business aviation community, including the NBAA Business Aviation Convention & Exhibition, the world's largest business aviation trade show; international exhibitions in Europe and Asia; several Business Aviation Regional Forums each year; and a comprehensive program of Seminars and Professional Development Program (PDP) Courses. Review the list of upcoming NBAA events sorted by date. 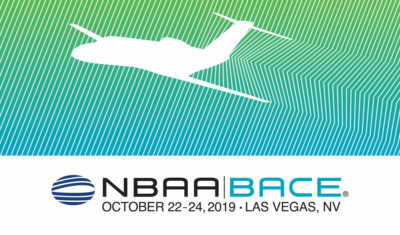 Review the list of upcoming NBAA Events sorted alphabetically by name.